Finding your company's place in the realm of social media can sometimes seem impossible. With technology advancing within the time it takes to blink your eye, the key to staying up with the cool trends is to be inspired by the other successful brands trying new things and helping fun tidbits you find to create something unique to your brand! This week we decided it would be a cool to show you a few different brands to keep an eye on when that moment comes and you need a little inspirational push. Loft uses creative ways of using stop motion animation when advertising their adorable and affordable clothing. We've had our eye on their social media when we need inspiration for stop motion animation. There are plenty go free apps you can use to create these stop motion videos and all you'll need is your product, props, and decent lighting to make it happen. We use Stop Motion available in the Apple app store to make our stop motion videos. Although their slogan is Charmin Ultra, Less is More (We all know you sang that in your head), their Twitter account has more laughs and ironic humor than most. Charming is sure to use relevant topics in the news to promote their business in a humorous way. By using puns and relevant material related to toilet paper, they incorporate the trending hashtags into their daily content. Create a fun graphic or comical Twitter poll to get users involved with your brand during a time when everyone has an opinion. If there's one brand that knows how to effectively tap into their audience, it's Dove. Although they sell products to men AND women, they're conscious to use a feminine voice when delivering their message via social media. 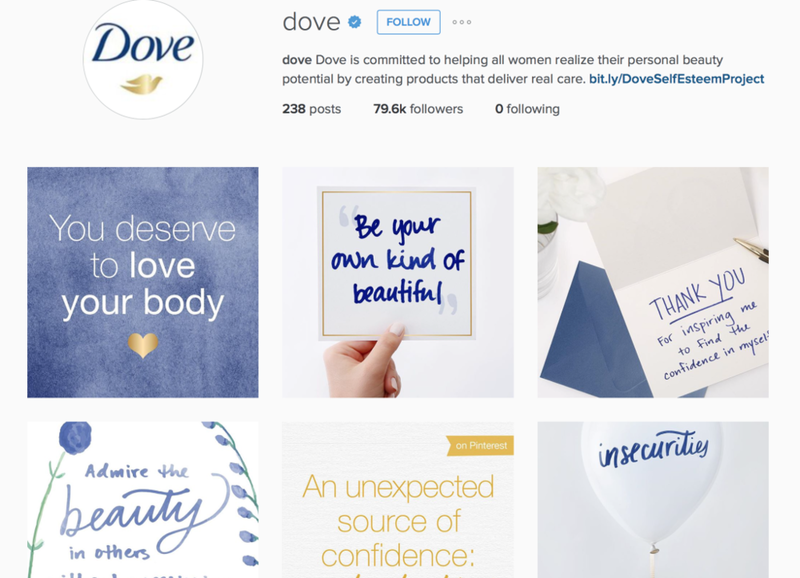 Dove is aware that the majority of their consumer base is women; therefore, their social media presence is heavily geared towards women. Take a tip from Dove's rule book and get to know your audience. Post with them in mind rather than posting to just acquire likes. You know your brand more than anyone else does. Think outside the box on how consumers view and use your brand. 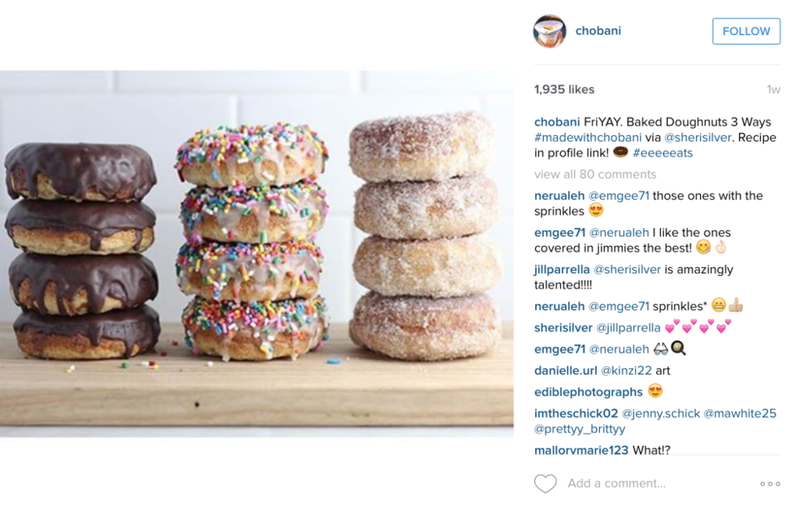 This is what Chobani did by posting different ways to use their yogurt products beyond just eating it with a spoon and granola. This approach inspires their consumers to try their product in a new way. (We even tried greek yogurt on chili the other night... and it was delicious). Don't miss out on the opportunity to reinvent your brand on social media by showing it in a new way that your followers may not be used to. If you love the clean look that is so popular right now on social media, we suggest being inspired by the NikeLab account on Instagram. They deliver their branding in a clean way while still being bada**. Perhaps you could attempt to create your own version of this look by using color blocking with your brand colors and specific product placement or even using only black and white products. We hope that this blogpost has inspired you to innovate your social media accounts using unique content! Share your inspiration with us by tagging us at @SocialApeMKTG on Twitter!